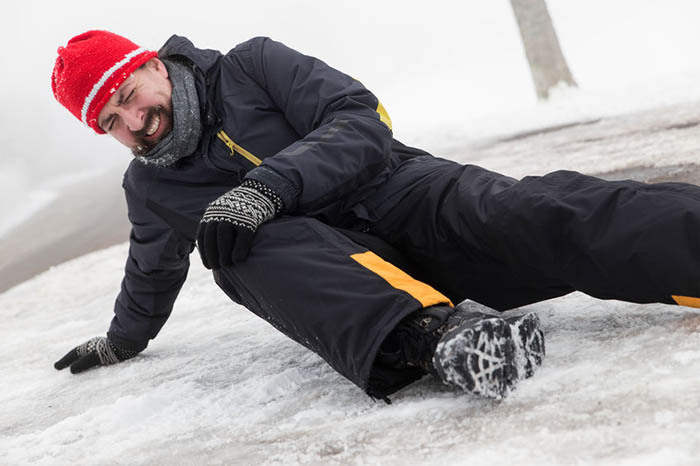 By following a few tips for avoiding falls in winter, you could save yourself injury. Emulating a certain cold-weather bird may help, too. Wear non-slipping shoes and boots while outside. Use hand rails wherever they’re available. 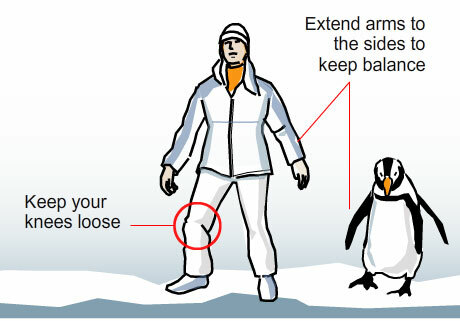 Use the “penguin walk, as demonstrated below, to maintain balance. Put a nail in the bottom a long dowel , leaving about 1/2 of the nail sticking out and use it as a cane.